Bethpage #1 Sofa Cleaning Service. Why Use Professional Sofa Cleaning in Bethpage? If you’re like most people in Bethpage, you relax on your sofa for at least a few minutes every day. This furniture provides a comfortable place to read books, listen to music or chat with friends. It also enhances the room’s appearance as long as it remains in decent condition. Unfortunately, frequent use may cause a couch to become grimy before other furnishings. The good news is that Allure’s sofa cleaning service can revitalize your upholstery. Leather and a few other types of upholstery don’t respond well to water. This causes some people to believe that it isn’t possible to thoroughly clean these surfaces. Fortunately, you needn’t reupholster or throw away expensive furnishings when they become soiled. 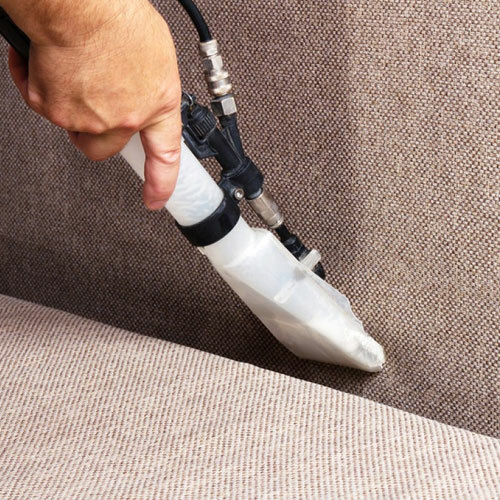 Our staff has the gear and supplies needed to provide dry upholstery cleaning in Bethpage. The technicians use heat treatments, specialized creams and high-temperature carbonation. On the other hand, our employees can safely wash most fabric couches with water. We carefully vacuum surfaces before applying an enzyme that helps eliminate stains. The next step involves extracting grime from the upholstery with the help of a high-quality detergent and hot water. A final extraction process removes any excess soap from the cloth. Our sofa cleaning service could make your couch look and feel like new! You might worry that your furnishings will become soiled again, especially if you have kids or pets. We offer an optional solution to this problem. After providing upholstery cleaning in Bethpage, our technicians can treat the furniture with a protective substance. This service makes leather or fabric less vulnerable to stains and helps customers save money in the long run. Eco-Friendly Organic Supplies with no Toxic Ingredients. We provide green sofa cleaning to Bethpage residents at no extra charge. This means that our staff exclusively uses organic supplies with no toxic ingredients. These products don’t harm people, animals or the environment. You won’t need to sacrifice cleanliness to embrace eco-friendly methods; our supplies reliably deliver top-notch results. Allure has adopted a green approach to cleaning because we genuinely care about the health of customers and employees. To sum it up, our company offers safe, effective solutions and even provides a way to prevent stains in the future. We also clean mattresses, rugs and other furnishings. If you’re ready to benefit from professional sofa cleaning in Bethpage, please contact Allure Carpet Cleaning today. We can answer any questions and schedule a service call at a time that fits your schedule.